Mods - Aspire Vape Co. Aspire brings you yet another great new powerful mod, following on from the success of the Speeder, we now bring you an even more powerful, more up to date mod, the SkyStar. 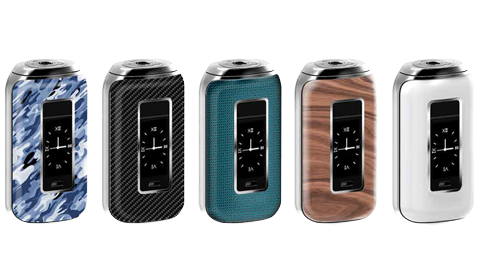 The SkyStar is a dual 18650 battery 210 watt mod with a 1.3-inch touch screen with every function you have come to expect from Aspire. Wattage/Voltage/BYPASS/TC(Ni,Ti,SS,M 1 ,M2,M3) and CPS (Customizable Power Settings). Its sensuous curves make it very ergonomic in the hand and easy to operate all the functions with just one hand, and an absolute joy to hold. The all new, all powerful Aspire Speeder. Bringing a high powered option to the Aspire brand. 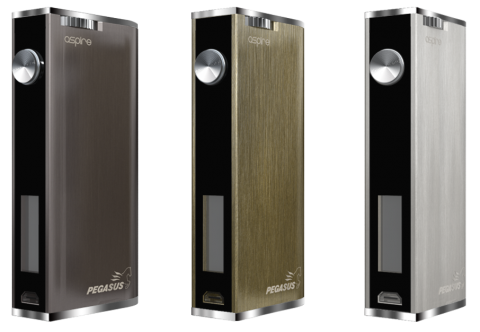 The Speeder is a compact but heavy duty 200W, TC mod. Dual 18650 high rate batteries power this device that is packed with all the extras that Aspire users come to expect. Auto rotate 0.96 inch OLED screen, continuous fire adjustable,multiple TC/VV/VW/TCR and CPS(Customizable Power Setting)options to nail that vaping sweet spot. You can couple this powerhouse of a mod with your favorite tanks and the vast array of adjustable options on the detailed display will allow for any changes! Perfection starts with precision design and development. 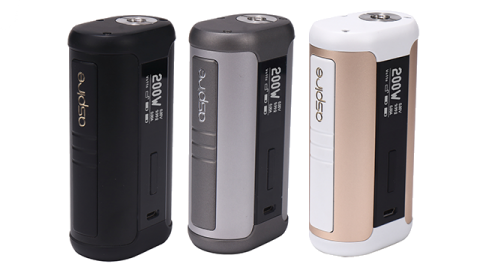 The Aspire NX100 represents Aspire’s commitment to produce the very highest quality vaping products. The NX100 features refined lines and high-level design accents throughout the design. The five button system is ultra-intuitive with one-button navigation between Temperature Control and Wattage mode. To top off the superior design and ease of use is a premium finish which aesthetically is one of a kind. NX100 is set to change the accepted quality levels across the industry. 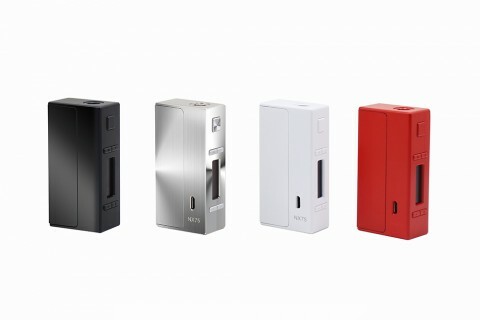 NX100 – Next Gen Vaping. The Aspire Archon is our most powerful mod yet. Using dual 18650 batteries, this beastly mod fires up to a max of 150 watts. The Archon’s strong magnetic battery cover slides off for easy access to the battery chamber. Archon offers powerful features like fast switching between Wattage, Temperature Control, and Bypass. However, the Archon is unique in this, as it requires one button for it all. It features an ergonomic grip which rests comfortably in your hand while vaping. Archon comes in three different color options; black, gray, and blue. All colors are trimmed with iconic Aspire orange. These stylish combinations ensure there is an Archon for everyone’s taste. Perfection starts with precision design and development. The Aspire NX75-S and NX75-A mods represent Aspire’s commitment to produce the very highest quality vaping products. The NX75 features refined lines and high-level design accents throughout the design.